The 64GB versions of iPhone's XR and XS models sell at official sticker prices of 6,499 yuan and 8,699, respectively. 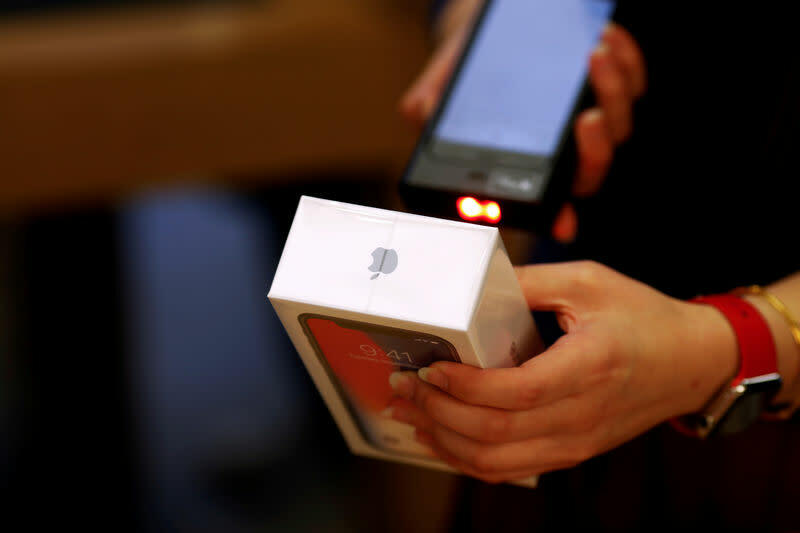 Apple is offering the plan through Huabei, a consumer credit service run by Ant Financial, the payment affiliate of e-commerce giant Alibaba, Apple's China website shows. China Construction Bank Corp, China Merchants Bank Co Ltd, Agricultural Bank of China Ltd and Industrial and Commercial bank of China Ltd also offer financing schemes for Apple products, with minimum purchases of 300 yuan, Apple's China website shows. Apple's revenue for its Greater China region fell 27 percent year-on-year to $13 billion in the quarter ended December. CEO Tim Cook blamed macroeconomic conditions and currency fluctuations for Apple's overall flagging growth.